One of the perks of LEAD Greece is that you get to travel throughout the program. 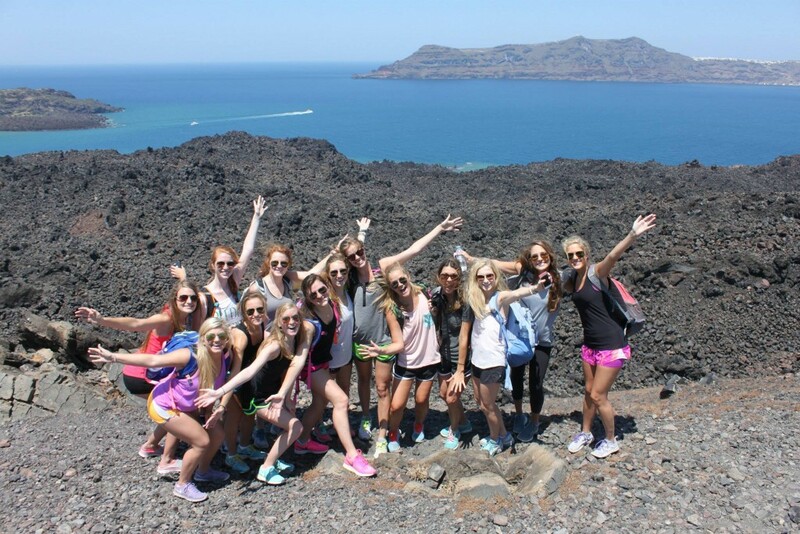 Ashley Johnson from Louisiana State University has some tips for that long ferry ride from Athens to Santorini! Seasick Medicine is a necessity! I personally don’t get seasick but took some anyways because a 7 hour boat ride nauseated would be miserable. Take non drowsy medicine if you plan on doing school work! Medicines such as Dramamine, Banophen, Antivert or Benadryl will do the trick. 7 hours on a boat sounds miserable enough so help yourself out and wear something you will be fine to sleep in and wear around the deck. Nike shorts and a cute comfortable loose fitting T shirt are perfect. Bring a jacket too just in case. BRING ATLEAST ONE! You never know when you will be freezing and when your neck will hurt! I used my neck pillow that I bought for the international flight and it worked like a charm. There’s a lot of school work due on the ferry and during the week in Santorini so go ahead and get a head start on your work so you will be able to enjoy its beauty. Having no schoolwork in Santorini makes the short time there much more enjoyable! Be sure you pack your headphones so you can listen to your favorite music while enjoying the WoNdErFuL boat ride! There’s also a chance you will get a crying baby or really talkative neighbor that you just might want to tune out..
You will have to be up much earlier than you’re used to on this trip so be ready to grab some coffee at the first place you see!